KenPom.com: If you have a subscription, the win probability graph from Boston College‘s upset over Syracuse last night is amazing. The Orange had a 96 percent chance to win at the tip. That stayed at or above 94 percent before peaking with around 16 minutes left in the second half (when Syracuse was up 13 points). Then things get interesting. A few Boston College threes later, and each possession starts influencing the graph. Boston College’s best chance to steal the win in regulation came with two seconds left (when CJ Fair almost committed the worst foul of the year), but the percentage spiked back to over 80 percent to start overtime. At that point every possession is high leverage. If you don’t have a subscription, today’s the day. How else would you know Boston College held Syracuse to its second-worst offensive efficiency of the year? BC Interruption: But how did the Eagles do it? They slowed the game down to a crawl (only 56 possessions in an overtime game!). They knocked down threes. They stopped turning the ball over (though the first half was admittedly horrible on this front). And they played remarkably good defense once they cut out Syracuse’s runouts. Olivier Hanlan was aggressive; Lonnie Jackson stepped up and hit four clutch free throws to close the game out; and Joe Rahon managed to hold CJ Fair to 20 points on 23 shots. Sports Illustrated: This is just a tremendous piece on Jabari Parker, focusing on his relationship with Coach K. It’s worth the time (which will be substantial), but really delivers great insight into who Parker is on and off the basketball court. Charlotte Observer: What do you get when you mix Barry Jacobs with a classic game on the day of Duke–North Carolina? A must-read. Jacobs chronicles the famous 7-0 half at Cameron Indoor to finish off the 1979 season. Duke was in its “signature 2-3 matchup zone” (yes, Bill Foster was coaching, but that’s still weird to hear), so Dean Smith brought out the four corners to try to coax the Blue Devils away from its defensive principles. It didn’t work. In the second half both teams ran more and put up 40 points each. Come for the first half shutout, stay for the flopping anecdote. Shakin the Southland: Clemson earned a win that could help itself a lot come Selection Sunday. No, it won’t stand out for being a great win, but NC State is currently sitting along with the Tigers on the bubble, and Clemson had to stop the bleeding to end its three-game losing streak. The win puts Clemson in a better position than its foes from Raleigh. This was Clemson’s best offensive performance of conference play and second-best performance on the season. More performances like that will help Clemson pass the dreaded (and arbitrary) eye test in a few short weeks. 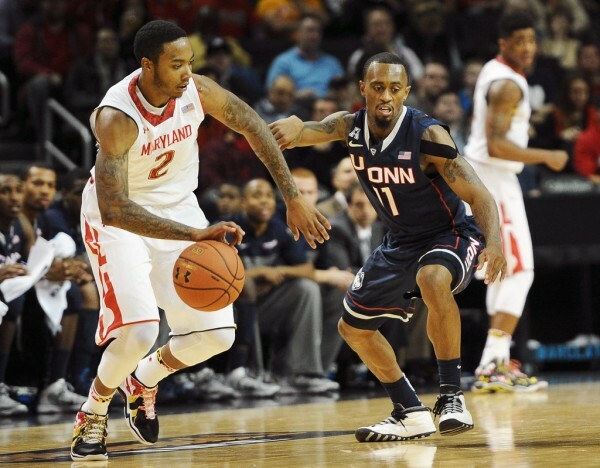 Maryland stopped its two-game skid with a road win to open conference play, and meanwhile the Eagles slipped to 3-7 in another poor defensive performance. 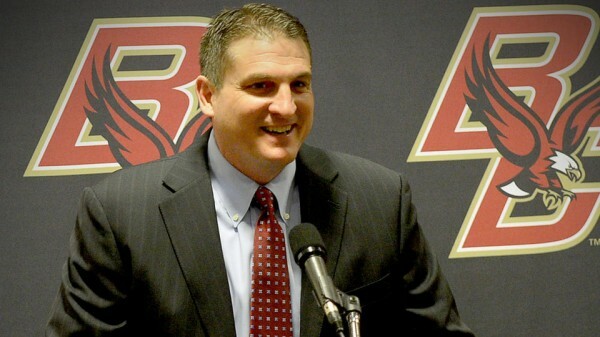 This is Steve Donahue’s fourth year as coach of Boston College and the question is floating through the air: Is it the year? 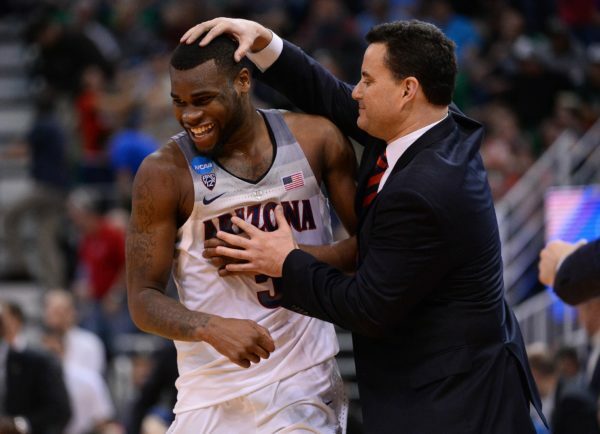 After an abysmal sophomore season where Donahue floundered with a nearly all-freshman class, last year was a turning point for the program. Sure, the team only went 7-11 in league play and lost in the second round of the ACC Tournament, but it was still progress and the groundwork that Donahue has laid looks strong. This year, the hard work starts to pay off. Boston College is ready to make some noise… with one big catch. 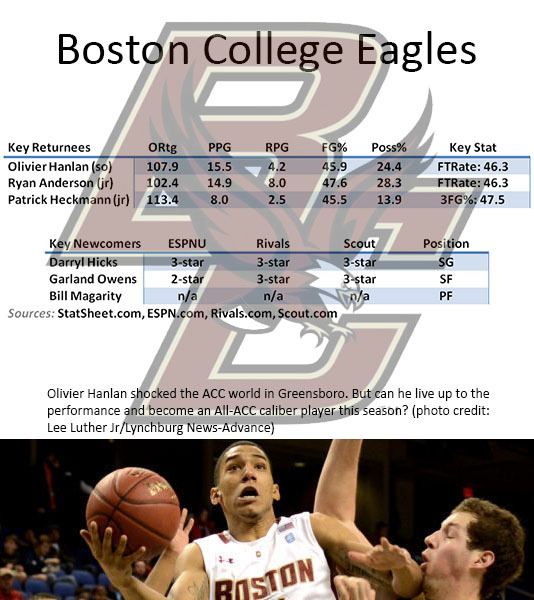 In 2011-12, the freshman pair of Ryan Anderson and Lonnie Jackson gave Boston College some hope for the future. Now, as juniors, both have clear roles in the Eagles’ team system. Anderson is capable of a double-double every night while Jackson is the team’s designated sharp-shooter on a team loaded with outside shooting. 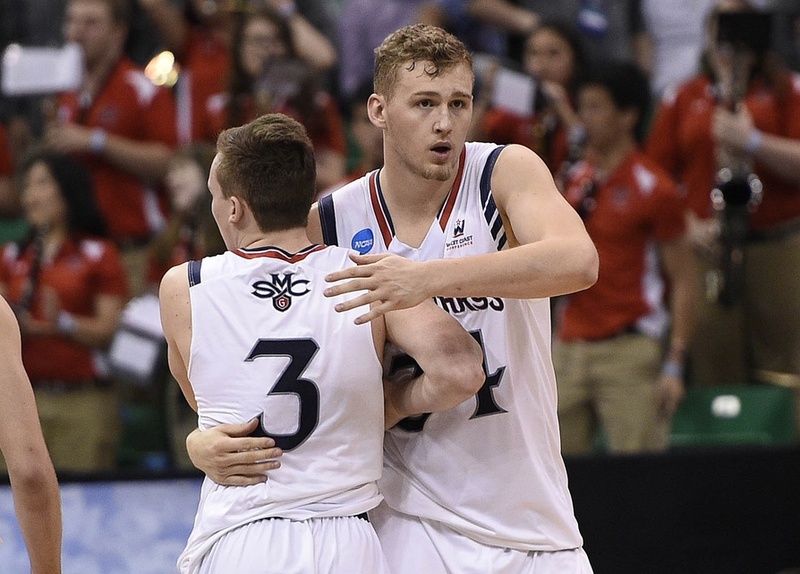 The two offer veteran leadership on a squad that basically lacked significant contributions from upperclassmen for the past two years. 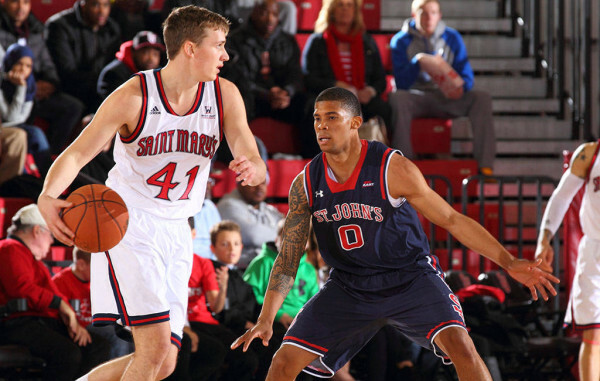 On top of that foundation came the dynamic freshmen duo of Joe Rahon and Olivier Hanlan. Though only a freshman, Rahon provided an instant steadying presence at point guard and ultimately led all freshmen in the conference in total minutes played. Hanlan, however, brought more to the team than a steady presence. The dynamic freshman guard played well all season, but he came on with a fury at the end of the year, setting the ACC Tournament record for scoring by a freshman with 41 points against Georgia Tech. He would ultimately win ACC Freshman of the Year. Well, it was an up-and-down year in the ACC filled with injuries, March disappointments and one season for the history books. We here at the RTC ACC Microsite loved chronicling every minute of it. We’ll still be providing periodic coverage throughout the summer, looking towards the NBA Draft and next year, but this marks the official end of the 2012-13 season for us. If you start getting nostalgic, here are some good places to start (in chronological order). Preseason ACC Awards: Still riding the highs of my Michael Snaer mancrush after his transcendent performance in the 2012 ACC Tournament, he took the preseason ACC POY nod. We clearly meant Olivier Hanlan, not Rodney Purvis when we picked the consummate scoring frosh, we just didn’t know it yet. 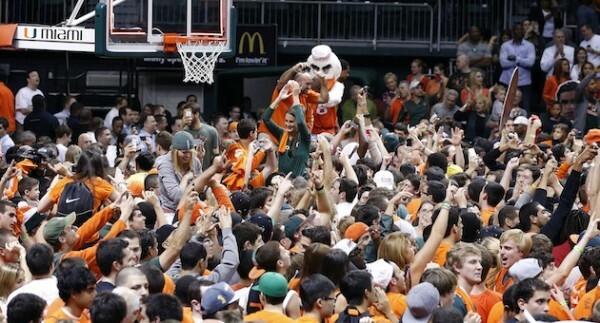 At least we finished one for three by picking Jim Larranaga to win COY. The Martin Report feels like forever ago, but the academic jokes from North Carolina‘s rivals won’t stop for a long time. And those questions the report danced around are still out there. Akil Mitchell is the best returning frontcourt man in the ACC, and Kellen was all over it last December. Especially without the likes of Mason Plumlee, Devin Booker and Alex Len, it’s fine to pencil him onto your 2013-14 preseason All-ACC teams right now. Speaking of being ahead of the curve, it took us until three days into 2013 to take note of Hanlan and his freshman teammate Joe Rahon. After one of the best rookie performances in ACC Tournament history, it’s safe to say it won’t take that long next year. Also, with Scott Wood and Seth Curry graduating, it’s hard to see much competition for best shooter in the ACC.